Looking at the definition of an integration platform as a service, we can see how important this space is in the modern world, where data and system integration is more important than ever. Microsoft provides various services which we can use to build a true iPaaS platform, each catering to its own strengths, which can be combined to fit any scenario, like Logic Apps, Service Bus, API Management and more. 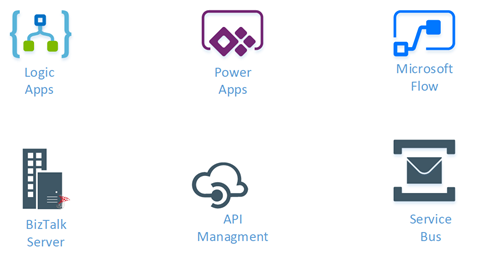 And in 2018, these services will branded together under the new name Azure Integration Services. From 2018, Azure Integration Services will be the collective name for a number of integration-related components, including Logic Apps, API Management, Service Bus and Event Grid. Data Factory rounds off the EiPaaS offerings for extraction, transformation and loading (ETL)-type workloads. Microsoft Flow, built on top of Logic Apps, enables citizen integrators. In my opinion, this is a good move to help customers understand how important it is to have these components working together. Before Azure, integration solutions were often build with only one or two products, like BizTalk or WCF, but nowadays it’s much more important to break down our problem, and check how to solve this using all those services we have access to. Making it to the leader space wouldn’t have been possible without the great efforts from the Program Managers and their teams, like Dan Rosanova, Jon Fancey, Kevin Lam, Kent Weare, Vlad Vinogradsky, Matt Farmer and all others. These are the true driving forces behind these services, who keep adding new features, bring out new services and keep making the offering ever more awesome. The other driving force behind the success of Azure and especially the iPaaS offering, I think is the community. By sharing knowledge, giving feedback to the product teams and engaging with new and existing customers, we can and do make a difference. 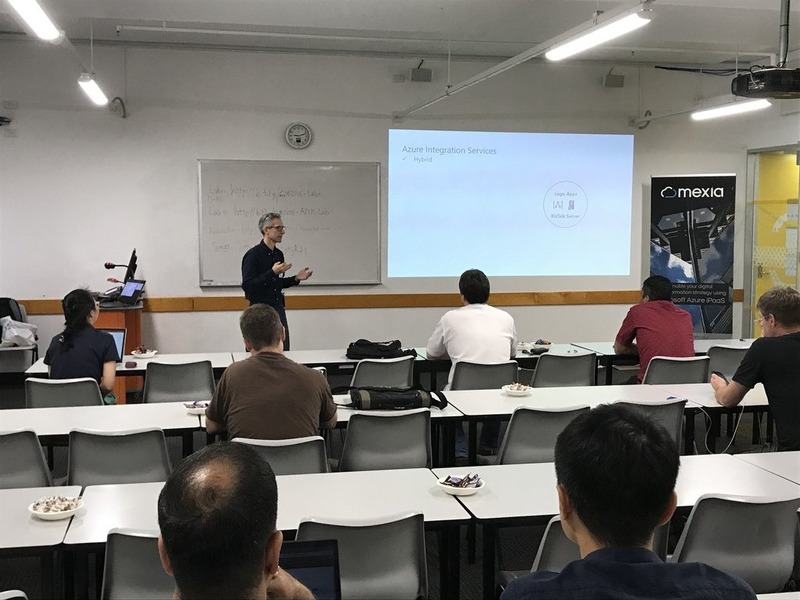 Events like Integrate, the Global Integration Bootcamp, Integration Monday, Middleware Friday and the many user groups and meetups really help in carrying out the message around these great services. Microsoft has been going forward steady, bringing new services like Event Grid and expanding and improving on existing ones like Logic Apps. Looking at where we were two years ago and one year ago, we can see how fast progress is being made, giving us some amazing tools in our daily work. Our customers agree with this as well, as pretty much any new project I do these days is being done with Azure iPaaS, showing how much trust they have in Azure and its services. And bringing together the different services under the Azure Integration Services name will help new customers find their way around more easily. And with that my prediction is, next year Microsoft will have climbed even further in the leader space on the quadrant. Search Capabilities: Defining the correct metadata information and keywords for all the shapes for a better search functionality. The post New version of Microsoft Integration, Azure, BAPI, Office 365 and much more Stencils Pack for Visio is now available on GitHub appeared first on SANDRO PEREIRA BIZTALK BLOG. With technology changing fast and services in the cloud evolve more rapidly than their on-premise counterparts creating and updating content around those services becomes challenging. Microsoft Integration has expanded over the years from Grid their the on-premise offering BizTalk Server to multiple cloud services in Azure like Service Bus, Logic Apps, API Management, Azure Functions, Event Hubs, and Event. The server product BizTalk has numerous available content types like Microsoft Docs, Blog posts, online recordings, and presentations. Does this also apply to the mentioned Azure Services? Yes and no, because of the rapid change content is out-of-date fast and people creating the material have a hard time keeping up. At least for me, it’s a challenge to keep up and produce content. What type of content do you value the most? What Integration Event has your preference? What online content in the integration space do you consume the most? What type integration focused content do you think is valuable for your work as integration professional? 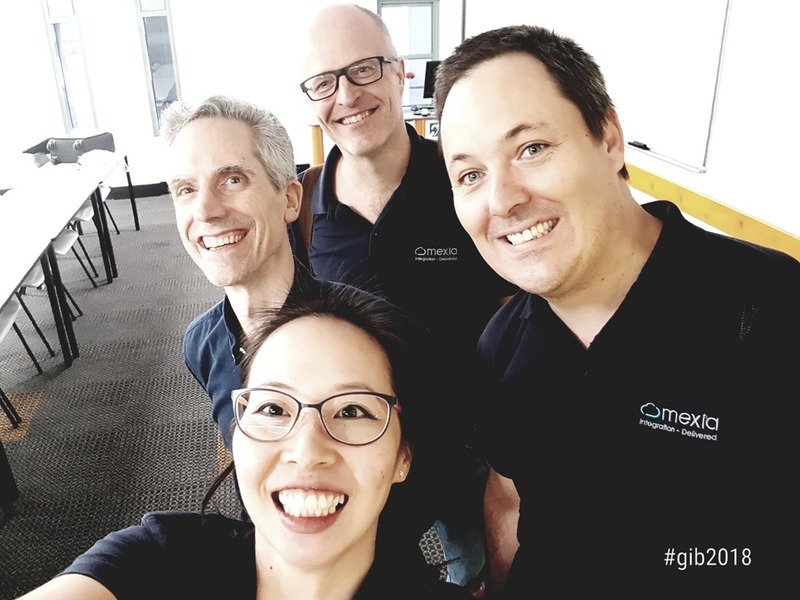 Have you attended Integrate London, a local user group meeting or the Global Integration Bootcamp? Does the Global Integration Bootcamp, Integrate London or the local integration focused user group provides value for you? Do have any comments or feedback on Microsoft Integration content? With the questions above I hope to get a little glimpse into the expectations and thoughts people have with regards to integration content. That is what do they think about the existing content, what is do they appreciate, what content types and through what preferred channel. The number of responses exceeded 50, which can be the representation of either one up to ten percent of the general population of people working in the integration space. At least that my assumption. However, assessing the actual representation, in the end, is hard. Anyways, let’s review the results of the questionnaire. The first question was around what specific content type people value the most. And it appears that the majority of respondents still favors blogs, one of the older content types, before vlogs, webcasts, and video became more mainstream. Almost 60% favors blogs over any other content type. In line with the previous question is what content is consumed the most. The response correlates with what is valued. Moreover, static content is preferred over let’s say dynamic content like vlogs or on-line recordings like Integration Mondays or Middleware Fridays. I left out live Events and Channel 9 intentionally, to see how community content would be consumed. Note that Microsoft Docs is open for changes via GitHub, where the community contributes too. Thus this content type is partially maintained by the community. With another question, I tried to see which event was preferred the most of the three we have available from an integration perspective. A global, centralized one like Integrate, a local user group, or a Global Integration Bootcamp on one day in various venues. Close to 50% favor Integrate London, while local user groups and the boot camp are around 25%. As a follow-up, I asked who attend any of these events or not. And most (>75%) respondents attended either a local user group, a Global Integration Boot camp or Integrate. The other questions were open ones. Here, people could more specifically provide feedback on what content they value apart from the channel it is delivered through, and how much value an event is providing (if attended), and one more where people could provide more general feedback people about integration content. With people attending events, the value lies in the opportunity for networking, see (new) content, and have interactions with peers in the fields, MVPs, and Microsoft. Generally, a local event, a boot camp, or a bigger event tend to be the right places to socialize, learn about new tech, and get a perspective on the integration ecosystem. This perceived view is reflected in the answers about the value of attending an event. To conclude people have an overall satisfaction in content and how it is delivered. However, a clear demand for more up-to-date content online and practical guidance is requested by people for their day to day jobs as integrators. Finally, I like to thank everyone for taking time to answer the questions.